Teri Crawford Brown was born and raised in Jewel Ridge, Va., and as a child never went off the mountain unless it was for a special family trip to Dairy Queen. 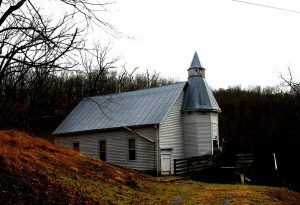 Teri now lives in Richlands, Va., in a century-old church that she has been sustainably renovating with her husband. 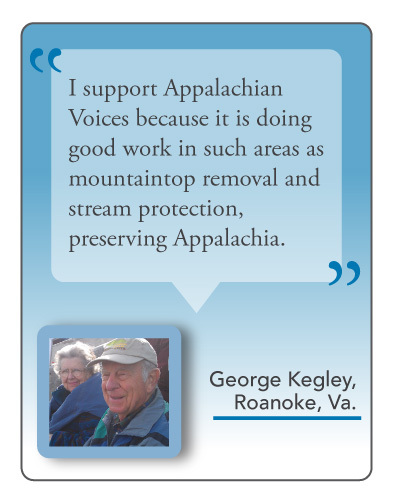 To her, the mountains of Virginia have always been home, and a home she wants to protect. Three years ago, while visiting Knoxville,Tenn., Teri picked up a copy of The Appalachian Voice and couldn’t put it down. After noticing that the papers were distributed by volunteers, Teri began distributing copies across the town of Richlands, Va., including at the hospital where she has been a nurse for 23 years. During her evening walks, Teri carries a stick and bag to pick up trash. 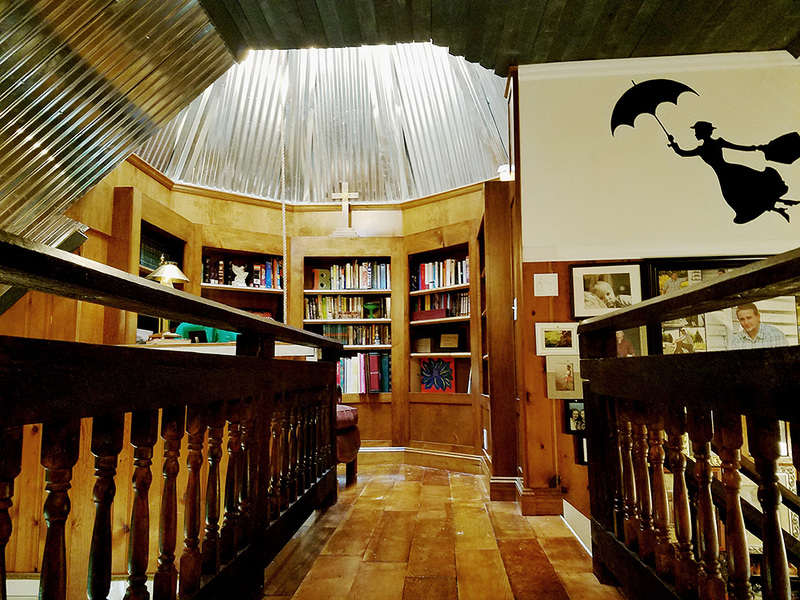 Aware that trash doesn’t just go away, Teri and her husband Richard are repurposing as much as they can while renovating a secluded 126-year-old church into their home. 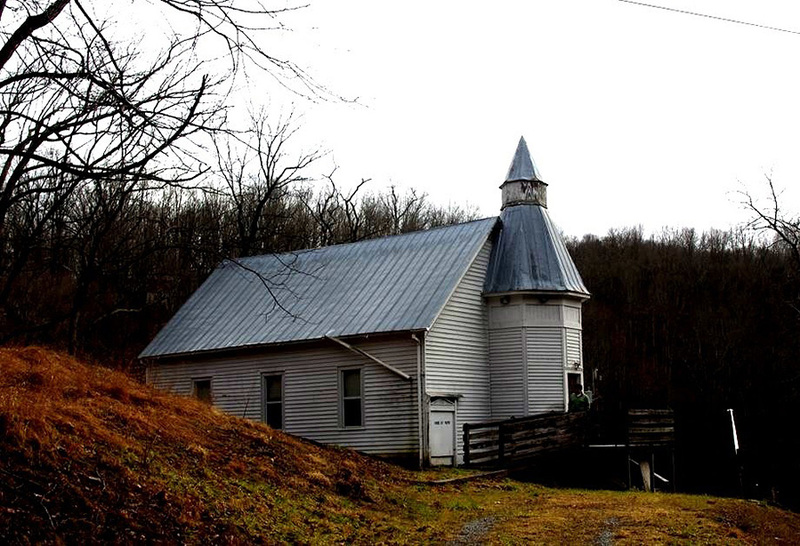 They bought Davis Chapel in Richlands, Va., from their good friends Mike Smith and Barbette Patton, who had saved the church from development. Teri and Richard raised their three sons in a 3,000-square-foot home in a subdivision, and Teri felt like she was working all the time to clean, heat and pay for it, so she wanted to go smaller. Moving into the one-room church downsized them to 1,100 square feet of living space. In their renovations, they used trusses from the old roof, balusters from the altar and light fixtures from the church. They refinished the original walls and floors and divided the church into rooms. 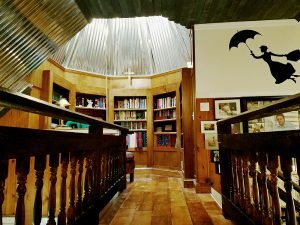 In the bell tower, they built a home library, and Teri hand-sanded bookshelves from a nearby library for the floorboards. Teri also hopes that her kids and grandkids can appreciate the Appalachian mountains the same way she has and wants to protect them from dangers like mountaintop removal coal mining. She can already see three strip mines from Bearwallow Mountain where she was raised. 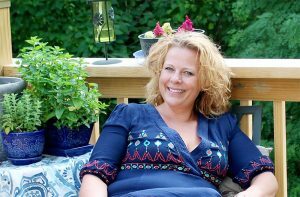 To inspire a cycle of positive change, Teri encourages others to work on small environmental issues that are important to them. “We have to start these things small and let them grow in these very rural small areas,” Teri says.